There's nothing really big on DSiWare and WiiWare this week, so instead, Nintendo has chosen to release not 2, but 3 games for both services. 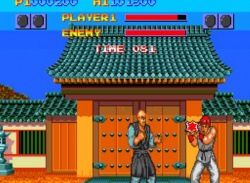 The Virtual Console gets two well-known games, but both of them are of debatable quality. Let's start with WiiWare - "Aha! I Got It!" Escape Game is a lot like certain flash games you can find on the internet -..
Carnival shooting gallery action comes to WiiWare. 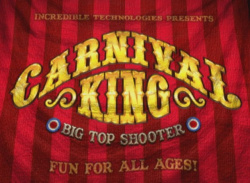 We've just got word from Incredible Technologies that their upcoming WiiWare release Carnival King will be hitting the North American WiiWare service on Monday, November 2nd and will cost 700 Wii Points. Carnival King is an all-ages target shooting game that combines exciting 3D graphics and an enticing carnival sound track to create a fast-paced.. Incredible Technologies gives us the lowdown on their upcoming WiiWare title.